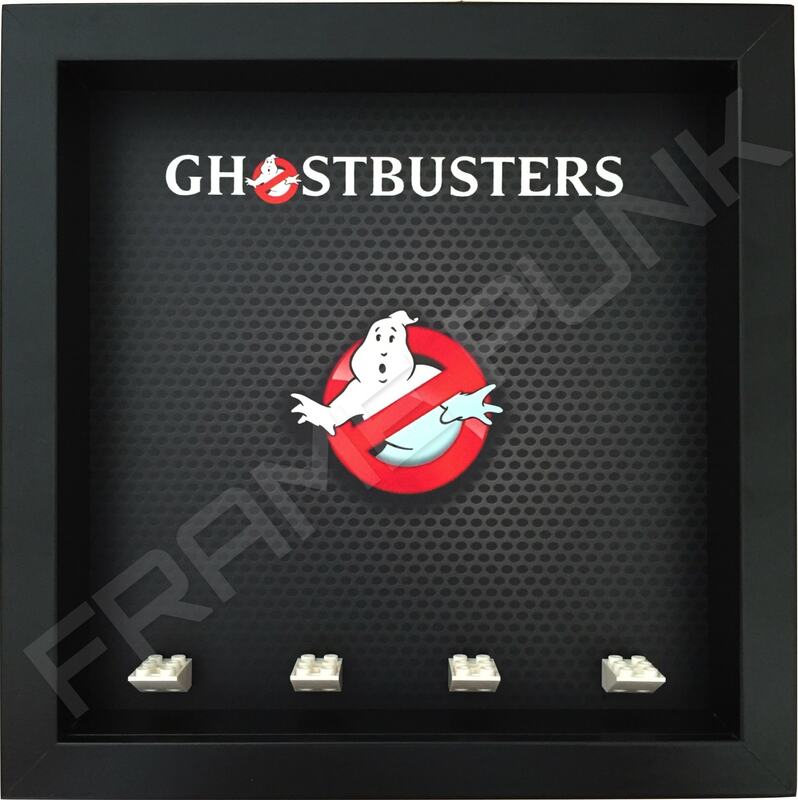 • Extra deep frame with removable front: available in black or white. 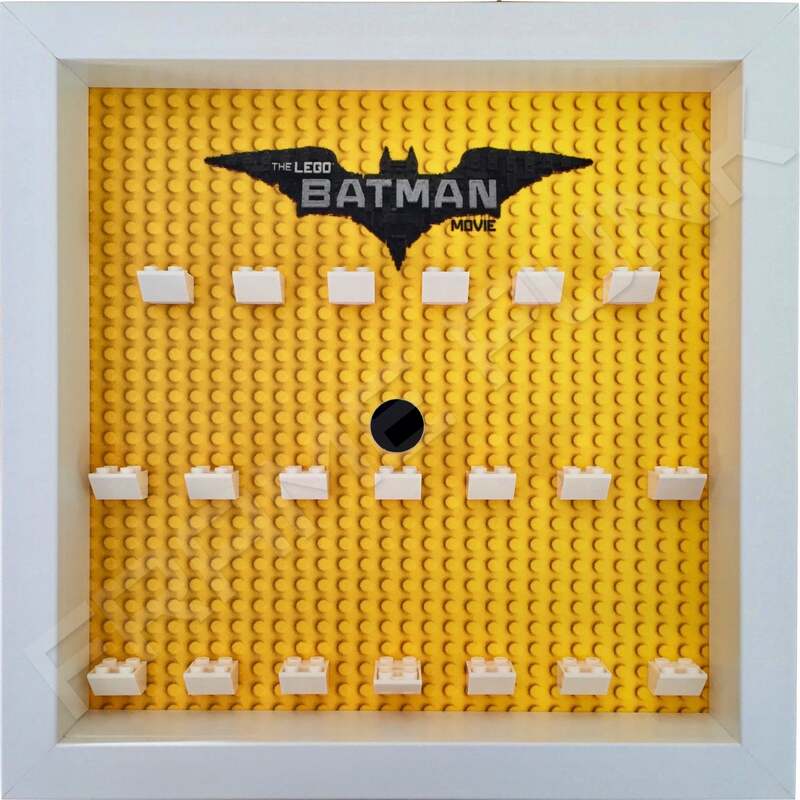 • 20 official White LEGO mounting bricks to hold the LEGO Batman Movie Minifigures Series. 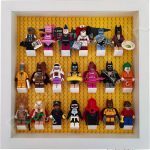 One of the mounting bricks is extended for ‘Orca’ (Series 1) or ‘Vacation Robin’ (Series 2) minifigures. 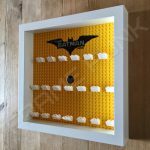 • Opening in background above the centre brick that allows ‘Vacation Batman’ or ‘Vacation Joker’ to wear their rubber rings. 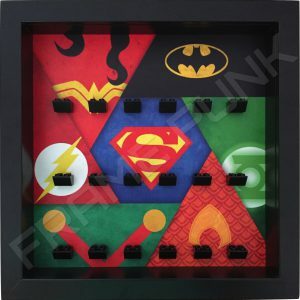 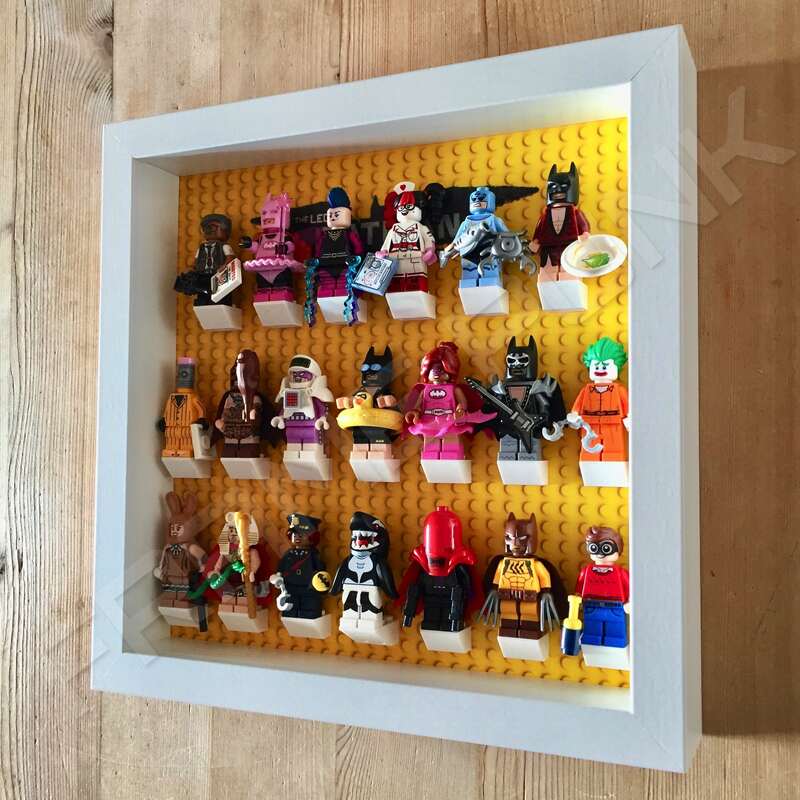 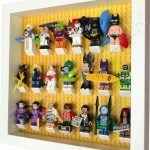 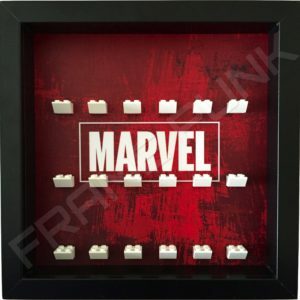 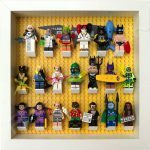 Display your LEGO Batman Movie minifigures series in our specially designed Frame Punk Lego display frame. 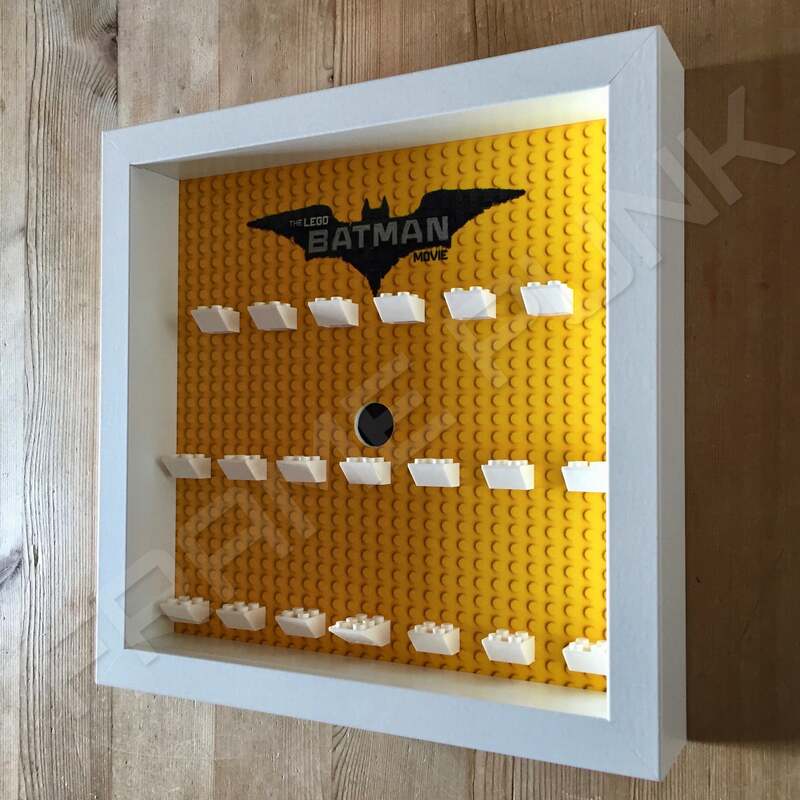 It comes with 20 white LEGO bricks to mount your minifigures. 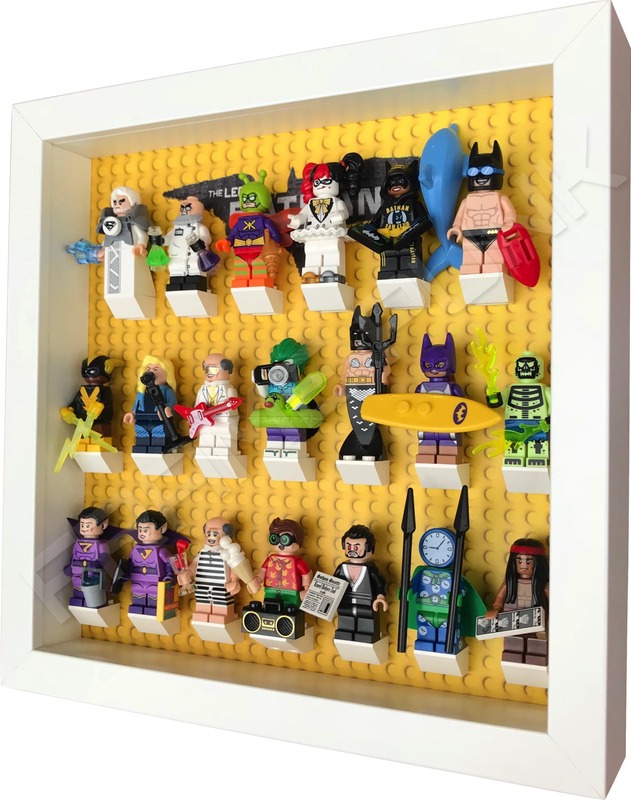 Like this and all of our LEGO Batman Movie minifigures series frames, we have designed them so that this great collection / series are displayed in the best way possible. 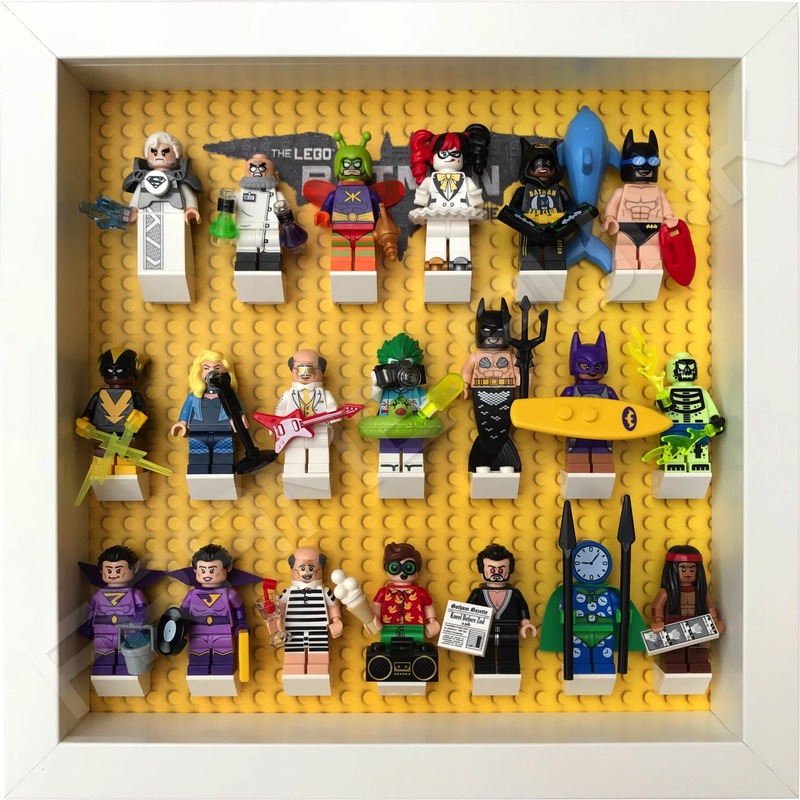 This includes an extended LEGO brick for the ‘Orca’ minifigure (from Series 1) or the ‘Vacation Robin’ minifigure (from Series 2), and a carefully placed hole in the background that enables ‘Vacation Batman’ (Series 1) or ‘Vacation Joker’ (Series 2) to wear their rubber rings (as was intended) and fit perfectly within our normal frames. 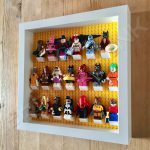 To ensure all of your minifigures fit in the frame we recommend following the lineup shown in the listing image. 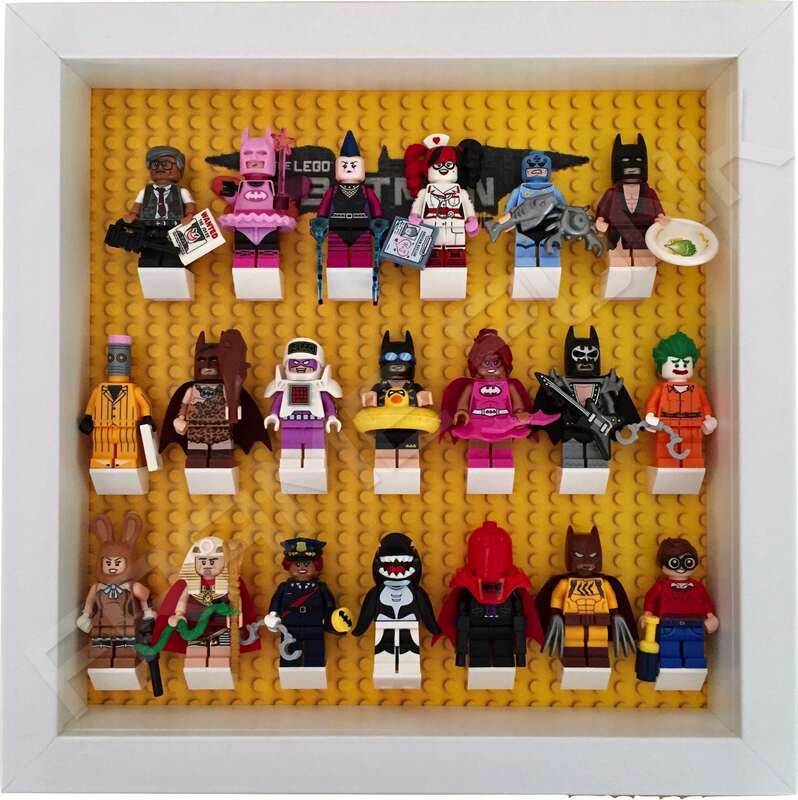 It is also recommended that the hands of all the minifigures placed on the sides of the display are turned inwards.